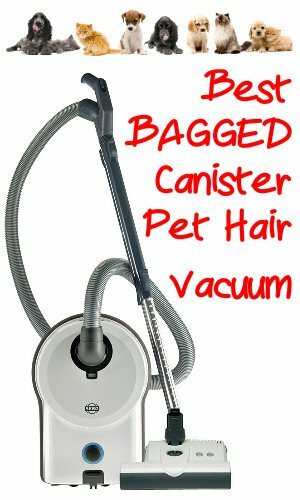 A Quick Guide to Help you Select the Best BAGGED Canister Pet Hair Vacuum for your Home! Plus Mini Reviews and 2017 Recommendations! I know how frustrating shopping for a new vacuum cleaner can be. There are just so many products to choose from. A few extra minutes spent here could save you having to go through the same process again one, two, or three years from now. 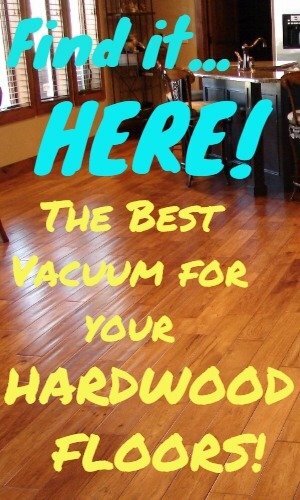 Match your New Vacuum to your Needs! My dad always stressed how important it is to use the right tool for the job! If your home has low pile carpeting and smooth flooring and if you have Medium to Small pets I recommend a Bagged Canister Pet Hair Vacuum. If your carpet is medium to high or plush pile you need a vacuum with a motor powered Brushroll or Beater Bar like the ones recommended here. …What is a Motor Powered Brushroll? In case your not familiar with vacuum cleaner jargon a Brushroll or Beater Bar is that round spinning bar with bristles. It is always located inside the vacuum nozzle or the part of the vacuum that comes in contact with the floor. Its purpose is to agitate the carpet pile, losen dirt and pet hair to be sucked up by the vacuum. On some canister vacuums the Brushroll is powered by the air rushing through a turbine. This works fine for low pile carpet, mats, and area rugs. But, it lacks the power to be effective on medium to high or plush pile carpeting. That’s why you need a canister vacuum with a Motor Powered Brushroll – to dig out the pet hair and dirt from your carpet pile. The down side to a canister vacuum with a motorized brushroll is they are generally significantly more expensive. Upright vacuums are able to utilize the same motor that provides the suction to also power an adjacent brushrool. Whereas a canister vacuum, because the hose, requires a separate motor mounted on or inside the floor nozzle to power the brush. A “Turbo Powered” brush lacks sufficient power to be of any real benefit on carpet. So, if the cost of a canister vacuum with a motorized brushroll places it out of your budget you may want to consider an Upright Vacuum for Pet Hair. Filtration should always be a major consideration when selecting a vacuum. Without sufficient filtration a significant portion of the nasty dust you are trying to remove from your home will get blown back into the air in the room for you to breathe. Not a pleasant prospect for anyone, especially if the suffer with allergies! The Filtration on the canister vacuum models below is excellent. The bag material acts as a filter to remove most dust plus an additional HEPA Filter that traps any particles that may have leaked around the bag’s attachment area. Replacement Bags can be a significant expense to consider if your pets demand that you vacuum often. Especially if they have long hair and shed quite a bit. The Miele S8390 Kona is engineered and manufactured in Germany. It is well designed and performs very will on low, medium, high pile carpet as well as on smooth and hardwood floors. It is common for Miele vacuums to last for many years, often decades, making it a smart investment in your home! German Engineered Motorized Brushroll for maximum deep cleaning of carpet. Disengage the Brushroll with a tap of the toe for vacuuming hardwood floors. 12 stage Miele AirClean Sealed System® w/ active HEPA-rated Filter. ElectorBrush cleaning head with 5 Height Adjustments for carpeting and smooth floors. ParquetTwister for gently cleaning hardwood floors. Attachments include a Crevice Tool, Combo Dusting Brush/Upholstery Tool. 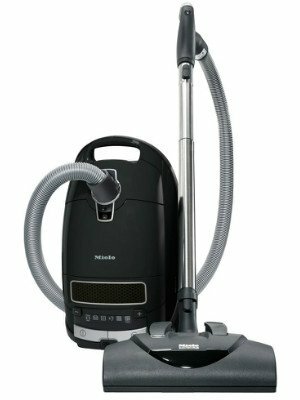 The Miele S8390 Kona is considered a “high end” vacuum. The price does reflect the quality and the stellar reputation of Miele. 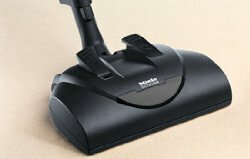 However, considering the reported longevity of Miele vacuums its actually one of the cheapest ones you can own if you figure cost-per-year. Miele Vacuums are tested to last for 20 years. If your the kind of person who demands the best this vacuum will make you forget the initial cost with its quality and performance. ← Best Pet Hair Vacuums for HARDWOOD Floors!